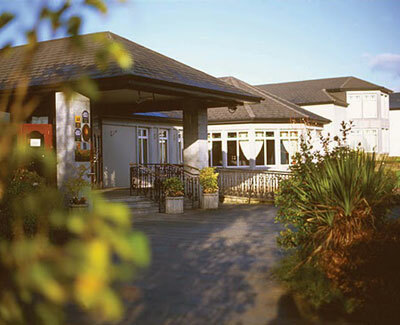 The Fitzgerald Family would like to introduce you to their deluxe hotel which is set in 44 acres just 1 mile from Adare. The Fitzgerald Family would like to introduce you to their deluxe hotel which is set in 44 acres just 1 mile from Adare. Each bedroom is designed with every comfort in mind with full ensuite facilities and a sofa area. Each bed ensures a sleep to remember with a 10cm mattress topper and goose down and Egyptian cotton linen. Enjoy elegant dining in Brennans while Timmy Mac's Bistro boasts great food in a homely environment complete with local memorabilia. Our health and leisure club comprises a 20metre pool, feature pools, a separate childrens pool, a 1500 sq ft gymnasium and a separate health suite that includes s sauna, steam room and jacuzzi. Revas state of the art Spa is unique to Munster and includes a thermal suite, rasul chamber, outdoor rock pool, foot spa, couples rooms, a hair salon and 18 treatment rooms, amongst other features. For our younger guests, Woodys Fun Club is open daily during selected school holidays and on Saturdays.Weddings a speciality creating a lifetime of memories over the last 25 years. Only 30 minutes from Shannon airport, our hotel is an ideal base to explore Killarney, Blarney, the Rock of Cashel, Bunratty and the Cliffs of Moher amongst other tourist areas. Adare is the home of the Irish Open with other golf courses in and around the Limerick area.